This page is organised as follows: First we show all legs of Maurice Hickman's serial walk to Compostella together. Then we have photographs taken on club walks and other events arranged in chronological order with most recent events first. I have arranged these in annual blocks working backwards from the current year and, furthest down the page, some photographs from earlier periods in the history of the Club. Understandably the selection gets thinner the further back we go into the pre digital era. Just click on any particular walk or event to bring up the photographs. We now have all the photographs currently shown on the old site copied on to this one. But there are more on this site than there were on the old one as I found a lot more as I copied them across. Incidentally I have now stopped updating http://www.stfrancisramblers.org.uk. Click on the first link below to see the photographic record of the pilgrimage to Compostella which was undertaken in annual stages beginning in 2008, and completed in 2013. Then you can browse through over 11,000 photographs, including many taken on no less than 32 events in 2017 including several walks led by members who are new to the ranks of leaders. Maurice Hickman's Caterham Ramble on Saturday 9 March 2019. Roger and Virginia's Walk from Petts Wood on Sunday 25 November 2018. Roger and Virgina gallantly came forward at short notice to lead this walk in the unfortunate circumstances that prevented Paul Brunning from leading the walk he inbtended to lead on this date. New Year Dinner and Dance celebration in the Lowiczanka Club on 6 January 2018. Maurice Hickman's Holmwood walk on 27 December 2016 (the 46th walk of which we have photographs on the website this year. Paul Brunning's Eynsford walk - the first of the year from Eynsford on 3 January 2016. Paul Brunning's walk from Sevenoaks on Sunday 7 December 2014. Francis O'Sullivan's day leading the A&B walking pilgrimage from Ely (not quite as intended as far as the ramblers were concerned!! John Burbage's Leatherhead walk on 21 August 2011. 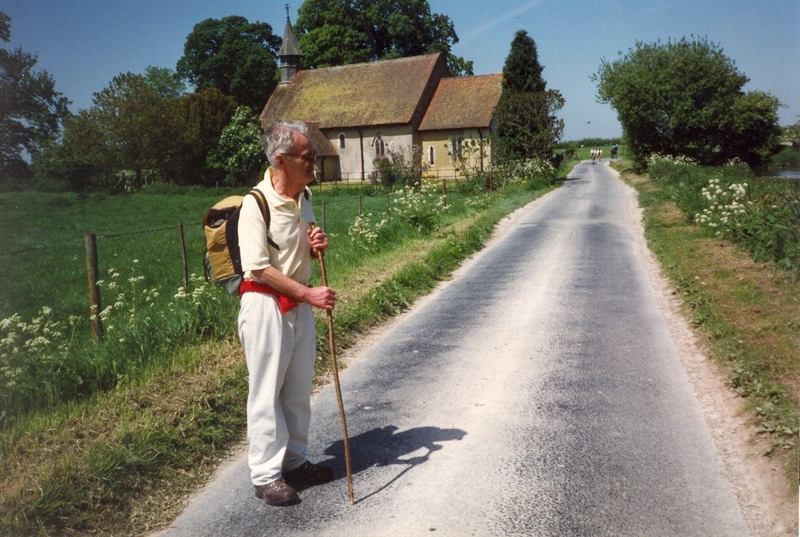 Paul Brunning's walk from Chilham to Canterbury on 14 August 2011. Roger and Virginia Yelland's Epping walk on 7 August 2011. Maurice Hickman's Eastbourne Walk10 July 2011. Christmas Events in 2010, including the club Christmas Dinner at Lowiczanka on 11 December 2010 and the Carol ramble around Hitchin the following day. Both of these events were arranged and led by Robert Slater and much appreciated by members of the club and their guests. Tony Finnegan's walk from Chalfont and Latimer station on Sunday 22 August 2010. Robert Slater's Bluebell walk also celebrating Carol's birthday on 3 May 2010. Robert Slater's Knebworth walk on the following Sunday 1 November 2009. Carol Anley's Hitchin walk on 5 April 2009. Helen Hunt's walk to Passion Play at Worth Abbey on Holy Saturday 11 April 2009. Maureen Cahalane's Oxford walk on 30 March 2008 by Sheila Bravin. A few pictures taken on two other walks in 2008. Photographs taken at the tea so generously provided by Marie and Alf Tisi at their home at the end of the ramble on 23 July 2006. Annual day of recollection held at Benedictine Monastery, Cockfosters on 26 March 2006. 75th Anniversary Mass and social function held on 8 October 2005. Photographs taken at the club party on 10 January 2004. Photographs taken on Tony Finnegan'sHitchin ramble in February 2004. Maurice Hickman's walking holiday in Scarborough at Easter 2003. The account is written by Maxine O'Reilly and the photographs taken by Tony Finnegan. Photographs taken by Kevin Kerins between 2001 and 2003. A couple of photographs taken, I think, on a Redhill ramble in the late 1980s, one of the fabled square dances at Bunhill Row and photographs of a party held to mark the emigration to the Isle of Wight of Mary and the late Meg Walsh.